When people ask for advice toward developing editorial skills, I have a dirty little secret to editorial greatness. * Usually, I give tips that have been repeated elsewhere. Read widely. Keep a curious mind. Decipher the technical tricks of your favorite authors. Or follow their blogs. There is one strategy I’ve not admitted to. Fact is, I’ve never held an editorial internship. ** My experiences didn’t include tracking another’s crimson comments in the margins, or reading slush, or writing summary reports. But I was a fanfiction writer. Yup. That type of fanfic author who came of age when fanfiction was one word, no space. An Animorphs tween on FF.Net who used to host chatrooms for Xing. A teenage Potterhead during Schnoogle and Ao3’s early years (I was so upset by the ending of Deathly Hallows that I rage-quit fandom. Hagrid wept). One who dabbled in “original fic” until I decided it really wasn’t for me. These formative experiences helped me hone my editorial eye as much as my years as a reader and my formal education elsewhere. Writing skills don’t always have to come from an MFA or out of how-to books. Sometimes they can be gathered together from the most unexpected places. Here’s what this editor learned from writing fanfiction. There are many mindsets to writing fanfiction, but for me the source material were not just guidelines, they were my roadmaps. I was determined to stay as in-canon as possible. As long as events happened on the page or there was enough hints that I could fairly extrapolate from. I spent hours studying a blend of British common law and JKR’s hints about the Ministry of Magic to theorize how they passed legislation as reactionary response to Muggle history. I made calendar timelines to figure out how whether the Animorphs went to high school in a term or semester system. Now, when I look at an author’s manuscript, I take out my sledge-hammer and test out the sheetrock of their world. Is that a plot hole? Slam! Magical loopholes? Whump! How does a character’s social or political identity affect their place in this world? Why can the cat talk? How do the airships fly? Does it matter? Why yes, because you, dear Author, are making canon and I’m testing all of the stress points and waiting for it to crumble. Writing fanfiction helped me figure out what strong writing was and the ways I could execute it effectively in a controlled creative environment, which falls hand-in-hand with an editorial eye looking at another person’s work. I’m not imposing my views on another piece, but I want to make sure that my suggestions would reinforce what is already there. 2) Fanfiction taught me how marginalized experiences are a valid part of a story’s world. One of the themes I explored in Animorphs fanfic was how people from different backgrounds would be impacted by a Yeerk invasion. The series’ diverse cast already gave my young imagination permission to figure out how other marginalized people would live during a secret intergalactic war—and this also seeded my belief in the importance of having representation in media. One sweet story was an accidental meet-ing between a blind girl and Ax, the series’ resident Andalite; another had our teen heroes protecting an autistic classmate after his parents became infested. Needless to say, the more curious I got about what kind of people could be part of the Animorphs’ world, the harder I worked to research these backgrounds to make sure I got them done realistically. Because, hey, where nine-foot tall aliens covered in blades exist as shock troops, the writing challenge is describing how a wheelchair-user battles Hork-Bajir in hand-to-hand combat! Fanfiction has also been known to highlight different sexual orientations and gender identities. The copious m/m and f/f ships in fandom attest to this fact, of course. Another significant example I’ve seen is in Gravity Falls fandom, where some fics portray Dipper as a pre-teen discovering his identity as a transboy. In the show, Dipper is a nerdy, anxious kid who is frequently insecure about his masculinity; adding this transgender backstory certainly gives Dipper another level of nuance. Many of these stories are also written by young queer writers and I can see the appeal of adding this headcanon to an already beloved character by other writers his age. 3) Fanfiction taught me the importance of cultural consultants as part of the editorial process. I never had people edit my work until I got into Harry Potter when I was thirteen. Not because I thought I wrote perfect first drafts (by the time I hit puberty, I learned how to revise multiple times before posting), but because of the “Brit picker.” As an American HP fan, I was sorely aware how my stories didn’t sound “as canon” as the books because there was so much I didn’t know about life in the UK. “Brit pickers” filled in this knowledge gap: British Harry Potter fans or those well-versed in British culture who volunteered to edit fics for cultural content—from slang to food to the layout of the Tube—to make sure everything was as authentic as possible. There were hundreds of HP writers who happily connected with Brit pickers via Fictionally’s forums and elsewhere; I was really happy with these amateur editorial relationships I sprung up with these readers. Today, Brit pickers would be called “sensitivity readers,” whose work is essentially the same and a key tool when writing across difference. When critics would scoff at the use of sensitivity readers, I just recall how teenage me knew it was important enough to check the realism of my writing, so an older writer should realize the value in sensitivity reads too. 4) Fanfiction showed me how character relationships are the golden ticket. Fanfiction taught me to value ALL THE FEELZ. The rollercoasters of angst and ecstasy. Making quiet domestic fluff. Digging emotional scars into ditches of pain. I’m not just talking about shipping. I’m talking vulnerability. Relatability. Communication, or their failures. Most of fanfiction’s charm lies in exploring the personalities of characters we love and puppet-stringing those human connections ourselves. This mushy-feely stuff fuels a billion coffee shop and high school AUs because writers like seeing how characters interact when the action isn’t breathing down their necks. The personalities matter. As an editor, I like to make sure the stories have those downtime moments, because while plot is important, especially in commercial fiction I acquire, it is the characters that readers will remember for far longer. 5) Know thy tropes—and fanfiction uses them well. I’m not a snobby reader: that’s part of the definition of working in genre. Fanfiction also has those tropes; just take a look at any set of Ao3 tags in a fandom and you get what I mean. The holiday fic. Five times they didn’t kiss, and one time they did. Hurt/comfort. Fix-it fic for those who hated the ending of Infinity War, or sad that your ship didn’t make canon by the show finale. Angst with a happy ending. Writers sometimes worry whether they are “original enough” to capture an audience. True, innovative ideas are important in making a story fresh and engaging. As a fanfic writer, however, I learned that readers can enjoy reading hundreds of fics using the same tropes too. The appeal isn’t in predictability, but in the unique way every story handles the same set of circumstances. Authors, don’t worry if your book uses some of the same ideas as others at times (a fear held especially by debut authors when they see anything similar to their book coming out before their pub date). Your individual style, voice, and handling of these elements will make it unique. 6) Understanding how my editorial taste had been influenced by fanfiction. I love books that I can dive into and explore. Worlds that feel real. Characters that become second family or villains I want to punch in the throat. A plot that can be experienced repeatedly and still feel the a new thrill every time (especially helpful, since as an editor, I read a manuscript at least four or five times). Elements that attracted me to certain fandoms remain when I acquire books. Reading widely helped me figure out what good storytelling contains. Writing fanfiction did something else: it helped me think about why I fell in love with certain books, movies, and anime enough to take my reader interest to another level. 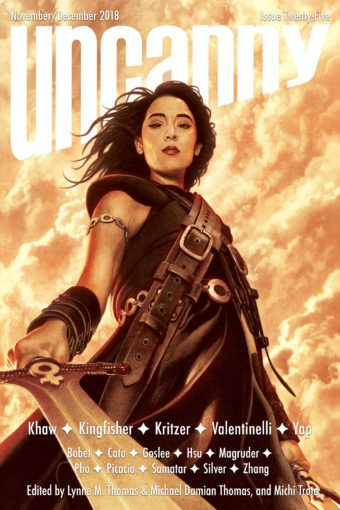 I don’t think about writing fanfic of the authors I edit (sorry, dear authors), but I do recognize that level of interest as a sign that this book has a certain je ne sais quoi unputdownable quality that would make it worth my time. 7) Writing fanfiction helped me develop a collaborative imagination. In fanfiction, it’s a skill to suspend a reader’s disbelief in whether this story is actually part of canon. All of my editorial suggestions stem from a “What if?” or a “Why is this?” I see in the manuscript. As an editor used to creating within boundaries, I can develop a good understanding of characterization enough to see when someone seems “out of character,” or where I can see the character making a different, stronger choice for plot’s sake. I’ve also proposed more extreme measures, and am not hesitant to suggest that the author rework the entire manuscript to insert a whole new subplot or emotional arc (or vice versa) if the story needs it. With my secret past revealed, I hope writers and aspiring editors of all stripes are heartened by it. Nowadays, I’ve been too busy to write much fanfiction anymore; to be honest, editing other people’s stories leaves me with little leftover brain energy. I’ve seen, however, the positive effects of fanfiction in today’s rising crop of genre writers, especially as writers openly talk more about their ficcer status. Fanfiction itself is being held up for its own merits, much to my joy. It can be seen as a stepping-stone towards refining one’s craft, or a way for a writer to relax from focusing on their professional projects. While not all fanfiction writers aspire to publish “original work,” don’t forget that fanfiction also has its professional arms too, in the form of media tie-in novels, film novelizations, and TV staff writer jobs (which start off with a spec script of an already-existing show—a fanfic screenplay). The line between fanfiction and “original” isn’t as hard as I thought it was when I was a younger writer, and opportunities will only increase as genre continues to embrace how much talent can emerge from fanfiction’s passion. Kudos appreciated, comments are love. *Greatness subjective to this person’s opinion, so take with salt as needed. **All of my publishing internships were in marketing a.k.a. convincing others to read your book. Also very useful. 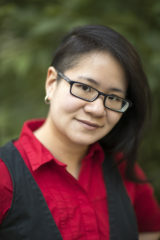 Diana M. Pho is a Hugo Award-nominated editor at Tor Books and Tor.com Publishing. She’s also an academic scholar, activist, performer, and general rabble-rouser. In the steampunk community, she is best-known for running Beyond Victoriana, an award-winning, US-based blog on multicultural steampunk. For several years, she has traveled the country as a professional speaker about social justice issues and fandom, and she has been interviewed for many media outlets, including CBS’s Inside Edition, MSN.com, BBC America, the Travel Channel, HGTV, and the Science Channel. As a fellow fanfic writer, I’m always overjoyed to know that one of our numbers made it to the big time. But I just wanted to give a special shout-out to your staying as strongly in-canon as possible. That’s how I always wrote. (For various video games, though, so I doubt we ever crossed paths.) These days, a lot of attention is rightly paid to transformational fanfiction, but I’ve thought—and still think—that there’s a lot of value in affirmational/curative fanfiction.